This lightweight anodized billet aluminum knob replaces the stock adjustment knob on Brembo brake and clutch master cylinders. The wider diameter and grippy scalloped edge makes it easy to turn, even with gloves on. 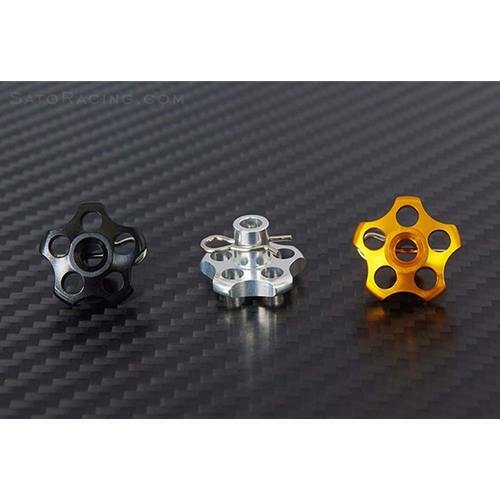 Choice of black, silver or gold anodized colors - sold each, please order one per master cylinder. Precision CNC machined billet aluminum has lightening holes for minimum weight, and fits perfectly over the standard Brembo shaft. Includes replacement P-clip for easy installation.